We played our first D&D 5E game on the weekend, using the adventure Lost Mine of Phandelver from the Starter Set. The game felt great, and we had a lot of fun. There were four players, including one new to my group, and I was GM. Learning a new system plus running a published adventure meant a bit of a learning curve for me. But everyone pitched in with figuring out the rules and corner cases. There were some rules gaps, because we’re just using the Basic Rules, but overall things went well due to our experience with previous versions of D&D. The designers have simplified a lot of things, which I think gives both GMs and players more options and a better game experience. For example, most spells I saw had a standard range and duration. You did not need to pause and make calculations based on level, ability bonus, and other modifiers to fire off a simple spell. The Bless spell, as a specific case, allows three people the player chooses to receive the blessing of the PC’s god. Blessed characters get +1d4 to their attacks. So, the cleric has a choice of recipients – and my group usually roleplays such decisions, in addition to a bit of tactical and meta game consideration – and players get a surprise once in awhile with a good roll and +4 to their attacks. So things are simple, with some options, and some variation. A better example might be what you can do in a round. You get one action and one move. You can break up your move and do your action in any order. So, if you can make two attacks in a round, then you could move a bit, attack, move again, and attack again. This applies to PCs and NPCs/monsters, and it cleaned up a lot of the tricky bits of round management and made fights seem more fluid. I think we just started cluing into the possibilities of not having blocky, rigid action sequences, and I look forward to exploring and experimenting more with this. Characters get four roleplaying attributes – traits, flaws, goals, and bonds. When one of these gets roleplayed well, the GM can grant a player Inspiration. This gives the PC a bonus on an upcoming action. In play, it was a bit awkward as we experimented with how to game this out. I did not have the 16 attributes for 4 PCs memorized (6 PCs actually, as 2 perished), so I asked players to let me know when they were roleplaying for Inspiration. It wasn’t smooth, but it definitely got everyone roleplaying. The Inspiration bennie is based on GM decision and evaluation of the roleplay. I don’t think just being in character should grant Inspiration, so we’ll have to work out as a group how Inspiration gets earned. In addition, some of the attributes given to the pre-generated PCs were subtle. For example, one PC had a trait of not being a decision-maker and was happier following orders. That’s a pretty tough pick-up for the GM, who’s doing other things and might not notice when a player is doing a good job roleplaying a passive PC. I think I’ll make better notes for next game about these PC attributes, but it feels like we still need to sort this part of the game out a bit better. The adventure kicked off with a goblin attack. The PCs earned a tough victory and tracked the creatures back to their lair. They assaulted the goblin cave hideout, but were repulsed twice. We finished the game with the second retreat. On a humorous note, there’s a trap in the module involving a pair of dammed ponds. The goblins wait until the PCs are making their way up the stream bed in the cavern, and then break a dam to create a small tsunami down the stream. The first flood knocked a PC off his feet, but a fellow member grabbed him just in time and saved a long tumble downstream. But the second flood proved too much. It knocked the same PC down again, and he went pell mell down the creek and was spit out of the caverns. Returning, he triggered another trap, which pushed him back into the still flooded stream, and he went for a tumble again! While badly bruised (body and ego), at least one PC got a good bathing. I also felt the game required less dice rolling. I prefer to call for a roll only when it’s important or when I need to stall to think. Fewer rolls means more storytelling and sleeker game experience because GM and players are doing more narrating and can get into a flow. And I find Pathfinder and D&D 3+ need a lot more rolls to get the game done. Sure, the GM has a say, but when rolls are embedded in a thousand rules, you can’t avoid them all. But D&D Next set an expectation early on that a group who wants more narration with fewer die interruptions can game that way if desired. Or, you can roll and leave everything up to chance. Likewise, you can play with combat maps and minis or just wage melee in the theatre of your mind. In the end, we all felt like we played a D&D game, we had fun, and we’re going to play again in a week. So, so far, thumbs up for the newest version of the game. Get some GMing done this week! I don’t care what my players think about an NPC as long as there is some kind of emotion. Whether my group hates an NPC, laughs at or with them, is saddened by them, or gets irritated by them, there’s at least an emotional connection. The worst case is an NPC gets met with apathy. No emotion. Like a cure light wounds roll when you’re just down one hit point. So forming an emotional connection between players and NPC is important. To that end, here are 10 common GM mistakes and reasons why your players don’t care about your NPC. NPC can’t be killed. The NPC who escapes harm every time isn’t worth caring about. NPC is just a skill personified. They are a one-trick goblin pony only regarded for their utility. NPC shows no vulnerability. Stress, loss, wounds, break-ups. Those without vulnerability are shunned. NPC gets more GM love than the PCs. Avoid having pet NPCs who drive the action and get the spotlight. No reaction. The NPC is scripted and doesn’t change or react to the PCs. Example, a cardboard NPC that’s always just a pompous paladin. Alien. The NPC is too hard to figure out. There’s no common values, relatable traits, or anything to bond with. Just a plot hook. You can’t see the golden exclamation mark floating over their head, but it’s there and the players know it. NPC doesn’t roleplay. As GM, you run them third person, meta. The players can’t interact with them in-game, in first person. NPC is a cartoon. Every barkeep is burly, quiet, and cleaning a mug. A quick skill check should knock a hook out of him and then the players can be on their way. One touch. The NPC is a throwaway character. He’s just filler and not even worth whacking for the XP. I am a DM who loves getting his daily dose of evil DM points. I love your tips on Left Hooks and the like, but I’m never sure how to “make it personal. My PCs often feel like all the NPCs are below them and thus not deserving of attention, care, etc. It would be most helpful to me if you could provide some tips on how to make your NPCs more relatable and getting the PCs to care when they are killed off. Thanks for the Tip Request, DM. Here are some thoughts on encouraging players to care more about your NPCs. Before I get into a few specific tips, I first wanted to supply a quick caveat. To be an awesome GM, you should get into your best mindset. In this case, we should focus just on what’s within our control. Just stuff we can pull the levers on or affect with our words and actions. We do not control other people. Therefore, we do not control our players. They’re not our game pieces. So we should not focus on getting them to do what we want, because it’s a waste of time and energy (and you don’t make and keep friends that way). But if you focus just on what you can control, then you’ll have the best chance of helping everyone having more fun at every game. Quite often we forget about this while we scheme and plan. An idea might carry us on its wings, and as we gaze down upon reality we forget the players might choose to go left instead of right. So we railroad or run a static world. Or we might dislike a trait of a player, and rather than reframe things so it’s no longer a pebble in our shoe, we figure we can fix things, as if people are problems we can solve. We choose our thoughts, words, and actions. Focus on this stuff, because it’s in our control. And so, as GMs, the best we can do is set the table. Offer up good gameplay opportunities, and be an exemplary middleman between player and world. I just wanted to communicate this as we often forget. We think we can get the players to do this or get them to do that. You’d have better luck if you had an audience, like those passively watching a movie. But, it’s an interactive game. So we can only control our part, and the players will hopefully meet us halfway, where all the fun hangs out. Have NPCs interact with the PCs as often as possible in meaningful ways. This is the best way to build relationships. In my games, the encounter is the base unit for gameplay experience. I think of encounters like scenes in a story. Just about everything in a book takes place in a scene. Some stuff doesn’t, like chapter titles, quotes, or special text preceding a chapter’s first paragraph, and footnotes if there are any. But 99.9% of a story happens in scenes. So too do I drive 99.9% of gameplay through encounters. So think about your games in terms of encounters. How can you put NPCs you want players to care about in more encounters? They can be at the centre of an encounter or bystanders. For example, take a humble armourer. The PCs come to him for repairs, to buy better stuff, and to sell stuff. We should try to turn each interaction with him into an encounter rather than an administrative and bookkeeping task. “Ok master smith, how much for this chainmail we took off the gnoll? “10 gp because it’s dirty and needs repair. “Ok. Bob, add 10 gold to the party treasure, I just sold the chain. In such an exchange, no relationship builds with the merchant. It’s all just boring numbers. Your first step should be to roleplay the merchant and ask as much gameplay as possible take place in first-person roleplay. “Greetings Seth. I’m here to offer you some fine armour today! “Hmmph. That chainmail you’re carrying? It’s dirty and smells like wet dog. 5 gold. “What! A quick wash will fix the smell. “It’s been cleaved through in several places. 10 gold, final offer. “Well, did you know we saved the village from gnolls last night. Just doing our duty, you know. Helping you. Keeping you safe. Do you have a family? “Yes, my wife and two sons. “Well they’re safe now too. “Fine, 15 gold. I can’t spare a coin more! In the game this would take just 30 seconds to play. And it’s all about the relationship now. The merchant will be remembered. And each player has this armourer evolving in their imagination, ready for more elaboration in future encounters. If nothing else is pressing behind my screen, and I feel like turning something like this into a longer, more involved encounter, I’ll add details and a conflict. For example, the PCs enter and run through the roleplay above. But, the perceptive characters see the merchant sweating and being nervous, eager to finish the transaction fast. Turns out gnolls have his family at sword point in the back. The PCs fight the gnolls and save the villagers, and the relationship is even bigger now. Add more NPCs to your encounters. You’ll build more relationships, faster. For example, add the sheriff’s son to our armourer encounter. And the wife of the butcher. The son is in the shop looking at some armour mounted for display. He hesitates and touches a suit of plate and asks the merchant “How much?” in a voice filled with longing as the PCs enter. The PCs ignore him and start bickering for the chainmail. Then gnoll combat erupts. The son is caught in the middle, an innocent bystander. During the encounter, he lunges with a knife at one of the creatures, displaying a streak of bravery to the group. Then, the first time a gnoll arrow misses, you have it graze the butcher’s wife, who was just passing by outside. She screams and drops the fruit and bread she just bought and feints. The combat ends. The boy and wife had little effect on the outcome. But now you’d have an encounter involving three NPCs and new relationships. Do this as much as you can to not only portray a living, breathing world, but to build those relationships one step at a time. Put NPCs in encounters and have players interact with them. It will create connections and players will care. “Any aspect of a PC that can be used to drive the game, most often a personality trait or background hook. For example, a mercenary PC’s rivalry with an NPC merc from another unit would be considered a flag, as it provides the GM with a hook for involving that PC in adventures. Study your players’ character sheets and note important choices they made. Where they had a choice of abilities, feats, or skills, for example. Note these down and design ways to use them in encounters. For example, Bob creates a barbarian and chooses from the rules list the ability to do a wide arc swing and whack multiple foes. You note this and plan to design encounters where the barbarian gets swarmed often. This means you’ll need foes that gather in numbers and swarm. So you hit your monster book and pick two critters. You decide to make these monster races central to the plot to ensure the barbarian will have plenty of opportunity to get his Arc of Arterial Spray on. Robin Laws talked about something similar in his awesome book, Robin’s Laws of Good Gamemastering, and he called them Kicks. These are preferences of your players you can cater to. Make a list and incorporate, like you do for Flags. For example, in my last campaign I made a mage’s guild for a player who loves to play elven mages. Unfortunately, I did a poor design job and the player chose to be a loner and not join the guild. I had made it illegal to practice magic without being a guild member, and the guild came across as controlling and strict. The player valued freedom over membership. So it’s important to understand your players well. Next time, I’ll design a mage society that’s more accessible and offers more for the player. Anyway, once you’ve noted character Flags and player Kicks, it’s time to embed them into NPCs. When a motivation combos with a game element, your players will care. If you can create NPCs that feed into desires already there – in your players and their PCs – you’re job becomes very easy. You’re a matchmaker now. Instead of trying to push players into the game, you’re drawing them in. For example, the armourer is a former soldier. And he’s familiar with the Arc of Arterial Spray. Whether he remarks on the cuts in the chain while eying up the barbarian’s axe, or he spots the barbarian at play with the gnolls and makes his remarks after the fight, he’ll be appreciative. “Now that’s some fine fighting. Knew a guy who could do that. Old buddy from the army. Could mow down goblins three deep in circles all day long. He knew a bunch of special tricks, he did. Nobody got close to him on the field. Now there’s a common bond with the NPC, and a hook as a bonus. The old army buddy might lead the PCs into adventure, or just be a resource to quest for so the barbarian can learn new moves. The player will likely ask about the buddy. The armourer says to meet the character at the One Legged Dog tavern and the PCs can buy him drinks. Ok. Then the armourer doesn’t show. He’s gone missing. And the barbarian wants to find him so he can learn about the army buddy. Look who cares now! Make a list of Kicks and Flags. Update it every couple of sessions. Then always be hunting for connections with NPCs. Be a matchmaker. Have NPCs ask players for help. This is an easy way to create a relationship, because we tend to like people we help. But avoid a constant stream of plot hooks. Instead, make help requests mundane, easy, and fun. If every help request means an adventure, players get cynical fast. NPCs become gateways to XP. Or they just become irritating. “What, you want 10 gnoll tails too? Sigh. Ok, we’ll be back tomorrow. Why does nobody in this town just take straight up gold for payment?! A fantastic way to game out fun and simple help requests is character skills. Create tests of skill and run short two minute encounters. Roleplay NPCs in the encounters, as always. You can target characters with high skills to reward them with fun and easy victories. You can also get entertaining outcomes by targeting characters’ poor skills. Either way, you run a mundane help request that bonds PC with NPC. For example, the barbarian sees the armourer’s youngest son chopping wood. The boy is holding the axe all wrong. And he’s not getting anything chopped. If the barbarian tries to blow on past, the boy will call out for help. But hopefully the barbarian stops of his own accord. Roleplay the chopping lesson. And see if you can’t encourage the barbarian to give a short demonstration, and make a skill test to see how much firewood he can chop in a minute. This will take just moments for the encounter in game time. A little more if you can have other NPCs in the area notice and watch (ref: Tip #1) as the character hews wood like each log was a stinking gnoll. I guarantee a memorable moment as the player calculates the size of his wood pile. And now the boy is an NPC he’ll care about. Have NPCs ask characters for help with small things important to the NPCs. In many games, NPC reactions range from friendly to hostile. Once players have a few NPCs in their lives, switch up the relationship from the standard to something deeper, something we all crave: trust and respect. It doesn’t matter if the NPC is an enemy or ally. If they demonstrate trust and respect towards the PCs – or the opposite – players will notice. And they’ll care about it. Then roleplay out these reactions so the PCs know where they stand with each NPC as time goes on. And then play out the consequences. The party acts like murderers? Fine. What do the NPCs think? The party saves the day? Fine. How do the NPCs react? 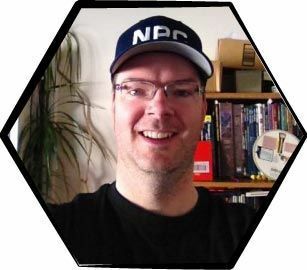 Once you set up deeper connection possibilities with NPCs, the roleplaying becomes more important, and players will care because they’re human, and they want respect even in fiction. As mentioned in previous newsletters and in my book, NPC Essentials, cardboard NPCs will be treated like pawns. Build up NPC personalities to make them believable game characters who function outside of player interests. When the world stops revolving around the characters, players will learn to pay more attention to the details. Because they’ll need to learn what levers they have at their disposal to get more of what they want. For example, whenever the party defers on a strong hook, close the opportunity a bit. The armourer’s son goes missing. The PCs don’t care. Next day another child is reported missing. The PCs don’t care. On day three, the village elders plead for help. The PCs don’t care. On day four, villagers tsk tsk the PCs everywhere they go. Infuriating! On day five, the PCs are not welcome anywhere, and no one will conduct business with them. Fine. The party gears up to look for the missing. Just as they hit the street, a group of now rival NPC adventurers show up with the kids safe and sound. The heroes are celebrated. The PCs are spurned. You don’t need to change the NPC, hook, motive, encounter, or anything else. Just layer in the mood and roleplay it. NPCs should also have good traits and bad traits to round them out. This gives them multiple facets you can present over time. For example, the armourer’s son is smart but greedy. The butcher’s wife is blunt but humble. You don’t need to write long NPC descriptions to run them this way, though. In each interaction, add a different dimension to the NPC. Let it come out during play. Build them up over time. As NPCs start to feel like real people, your players will care about them. It’s tough getting players to care about NPCs. You can’t really get players to do anything – it’s out of your control – so focus instead on what you can control. And as the game master, the most important thing you can control is that you care. If you care about your NPCs and play them up, your players will soon care about them too. I’ve been reading books with food descriptions in them and think this can translate into your games to some extent if done well. These can be based on elevation, climate/precipitation, culture, race, or nationality. This can include certain preparation techniques as well as the food itself. For instance, in an area with a lot of clay might develop a variety of dishes using clay cookware. In other areas where fuel is scarce, they might have developed stir fry. In a cold climate, they might make hearty dishes. If delving into this, even eating utensils can differ. For example, fork and knife vs. chop sticks. As part of character creation, characters should make notes of foods their characters like and dislike. In social situations, the characters may be served food they don’t like and have to eat it. How do they react? Do they eat it anyways or do they refuse to eat it and thus offend their hosts? Conversely, what do they do when presented with an (almost) unlimited amount of a type of food they really like? Do they become a glutton? Even monsters can have unique tastes when it comes to food. The DM could have something smell amazing the PCs are offered while in captivity, and they could willingly eat it… but the PCs realize later on the stew they ate was made from a sentient being. What do the PCs do when they realize this? Conversely, the PCs may be in a situation where they are forced to eat something that looks and smells disgusting to stay alive or face weakening (e.g., stat loss from starvation). Do they eat what is unappetizing and let themselves weaken or not? As a “connoisseur of fine wines” in real life, I know the right wine, beer, ale, etc. can make or break a meal. A skill a person might have in-game is a sommelier to know what wines go with which foods. Teas are another area a person could specialize in. I’d take the skill a step above the normal, where a person with such a skill could combine it with medical knowledge to make non-magical “healing potions” that could help characters recover faster from a cold, get over a hangover faster, or help the body fight off something nasty. Don’t forget food goes bad, may not agree with a character, or trigger an unknown food allergy. The characters may not know it until it’s too late and they end up with Montezuma’s Revenge or worse. Moisture, durability, age, and various other pertinent situations may affect how well food keeps. Perhaps there’s a curse or the dungeon the PCs are trekking through has something nasty that got into the food. So the PCs need to think about turning back or forging ahead with the hopes they can get some food that won’t make them sick and will sustain them. Sight: it should be appealing, such as bright and colorful. Scent: it should smell amazing. Hearing: lots of foods make sounds when being cooked or eaten. Touch: is the food hot or cold? What size is it? For instance mammoth slabs of meat, a tiny cup of tea. Taste: describe how it tastes to the player (or have them describe if they like it or not and why).